Big Pine partridge pea, photographed at Key Deer National Wildlife Refuge, Big Pine Key, Monroe County, in December 2013. Big Pine partridge pea might owe its continued existence to the key deer and efforts decades ago to protect the endangered animal. Key deer and Big Pine partridge pea happen to share the same home: Big Pine Key, which is the site of the Key Deer National Wildlife Refuge. 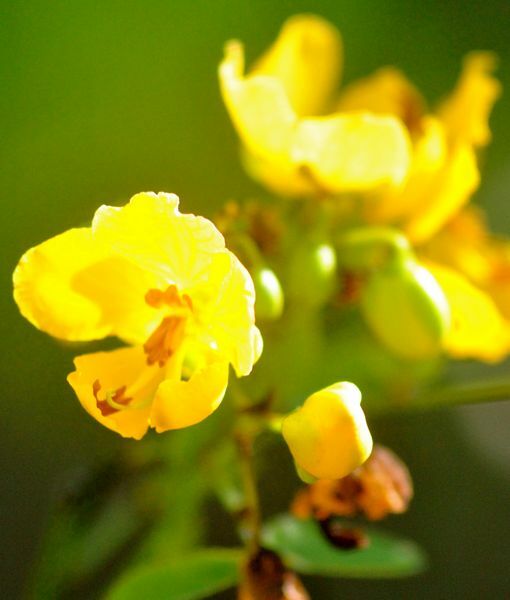 In fact, Big Pine might be the only place in the United States where the namesake partridge pea still exists. And without the protections the refuge affords all species within its confines, it might not exist at all. Which is why the U.S. Fish and Wildlife Service added Big Pine partridge pea to the federal endangered species list in October 2016. 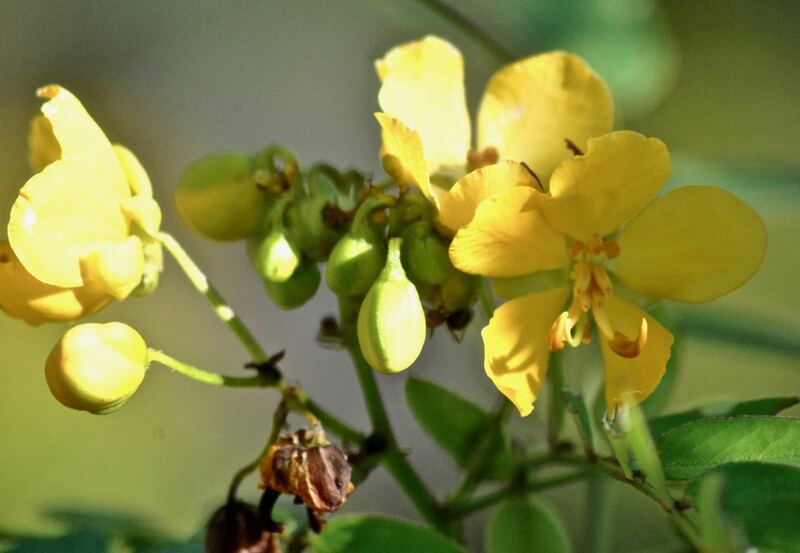 Big Pine partridge pea is a Florida native, its range originally covering several islands in the Lower Keys. The flowers have five petals, with reddish-brown stamen. It can grow to about 30 inches tall and has compound leaves. It serves as host to the little sulphur butterfly. It is a perennial. Big Pine also can be found through the Caribbean and as far south as Colombia. Globally, its population is considered secure. In Florida, however, It grows only in the rock pinelands of the Keys, which have become increasingly rare and fragmented because of development. On Big Pine Key alone, the amount of rock pineland acreage has declined by 56 percent since 1955. Beyond that, there is the problem of habitat degradation; rock pineland species are dependent on fire to maintain a healthy habitat. In the Keys natural, lightning-caused fires historically happened twice a decade. But fires in the Keys need to be suppressed because of the threats they pose to the human population. Prescribed burns can replace natural fires, but they're difficult to conduct in the Keys. Without fire, rock pinelands will morph into rock hammocks over time, taken over by tall hardwood trees that deny understory species like Big Pine partridge pea the sunlight and space they need to thrive. Fire also clears debris from the ground, creating space for seeds to germinate and cycling nutrients into the ground. And then there are hurricanes and specifically the afternath of storm surge. Salt water can inundate places for days and weeks. Storm surge from Hurricane Wilma in October 2005 killed off Big Pine partridge pea on Middle Torch Key and reduced the population on Big Torch Key to a single plant. Big Pine Key and Cudjoe Key took major blows during Irma in September 2017. Other threats include pesticides, particularly spraying for mosquitoes, which kills off pollinators, herbicides and mowing along rights of way and invasion by invasive plants. And there is climate change and the looming specter of sea level rise. Fish and Wildlife does offer some programs to protect and expand the Big Pine partridge pea population, including encouraging private landowners to participate the Connect to Protect Program, which includes planting native plants to create pathways for pollinators to move between habitat fragments. The FWS also noted successful efforts to combat mosquitoes by attacking the larvae rather than adults, which would keep pollinators out of harm's way. 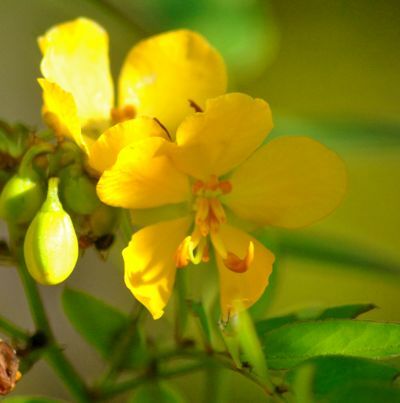 Other names include key partridge pea and narrowpod sensitive plant. It is a member of Fabacease, the pea family. Florida counties map not available. 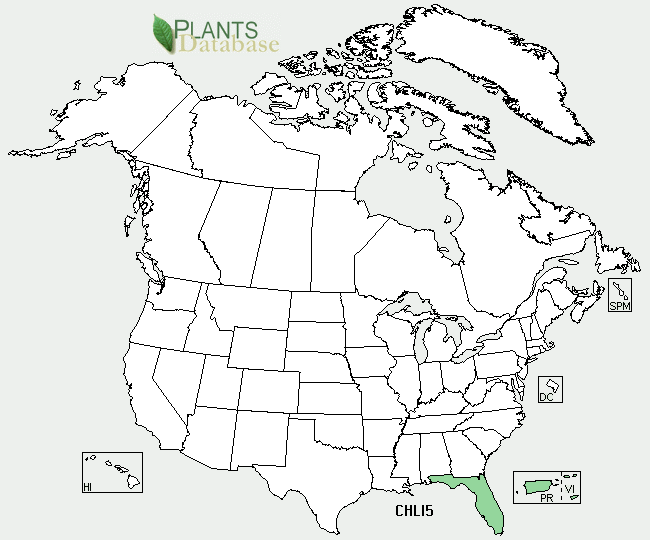 United States Department of Agriculture (USDA) distribution map for Big Pine Partridge Pea.